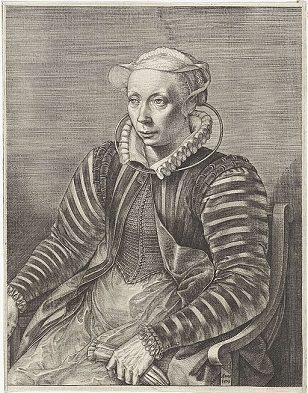 In the early modern Low Countries, a woman could only become the head of a printing house by surviving a man. Widows (and sometimes daughters) appear with startling regularity in colophons and other sources pertaining to the business of their deceased husbands (or fathers) and were regarded as their legitimate successors. Surprisingly, book historians often gloss over the presence of these women in their sources. Therefore, this PhD-project aims to shed more light on widow-printer’s contribution to their family business and the book trade as a whole by combining a book historical approach with family and social history. It will consider widow-printers in Antwerp, a commercial metropolis in the Spanish-Habsburg sphere of influence and in Louvain and Douai, two university cities. The latter was a border region that attracted religious exiles from the British Isles, France and northern regions of the Low Countries. Due to the Treaty of Aix-la-Chapelle (1668), it came under French rule after intense warfare, while Antwerp re-oriented itself to a firmly Catholic identity after its siege (1584-1585) during the Dutch Revolt. These developments impacted the three book towns profoundly and by comparing them during the long sixteenth and seventeenth centuries, the project will chart how widow-printers navigated their transregional contexts.